Dieter Schoon studied psychology and labor law at Bamberg University. He embarked on his professional career in 1992, when he initially joined Gemini Consulting, which was later named Cap Gemini Ernst & Young. He was a human resource and organizational development consultant. 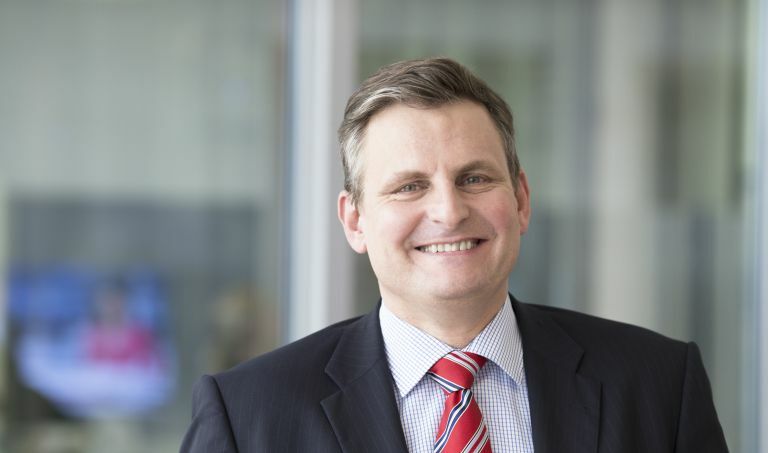 In 2000, he became the German head of human resources and organizational development as well as marketing with newly established strategy consulting firm Cell Consulting. In 2003, Dieter Schoon accepted an offer in Dresden, where he assisted the senior management of Advanced Micro Devices (AMD) with its human resource and organizational planning of the new microchip plant Fabrik 36. In 2004 he became director of human resource management with itelligence AG in Bielefeld at that time 935 employees worldwide. Since that time Dieter Schoon has been responsible for itelligence AG‘s HR worldwide and is in charge of its strategic and operational staffing issues. In the beginning of 2015 he joined the Global Executive Team as Executive Vice President Global People. Today he is responsible for the people team worldwide in the itelligence AG and NTT DATA Business Solutions with in total more than 7500 employees. He is married since more than 22 years and has six children.